“Yume wa Ijiwaru / Kotoba no Mizu wo Roka Shitai / Kigou Nanka ja nai Watashitachi wa (夢は意地悪/言葉の水を濾過したい/記号なんかじゃない私たちは; Dreams Are Unkind / I Want to Filter the Water of Words / We are not such things like symbols.” is College Cosmos’ debut single. It will be released on March 6, 2019 in four editions: one regular and three limited. The first press of Limited Editions A and B come with a random trading card of 12 kinds depending on the jacket (24 in total) which is also a handshake event participation ticket. 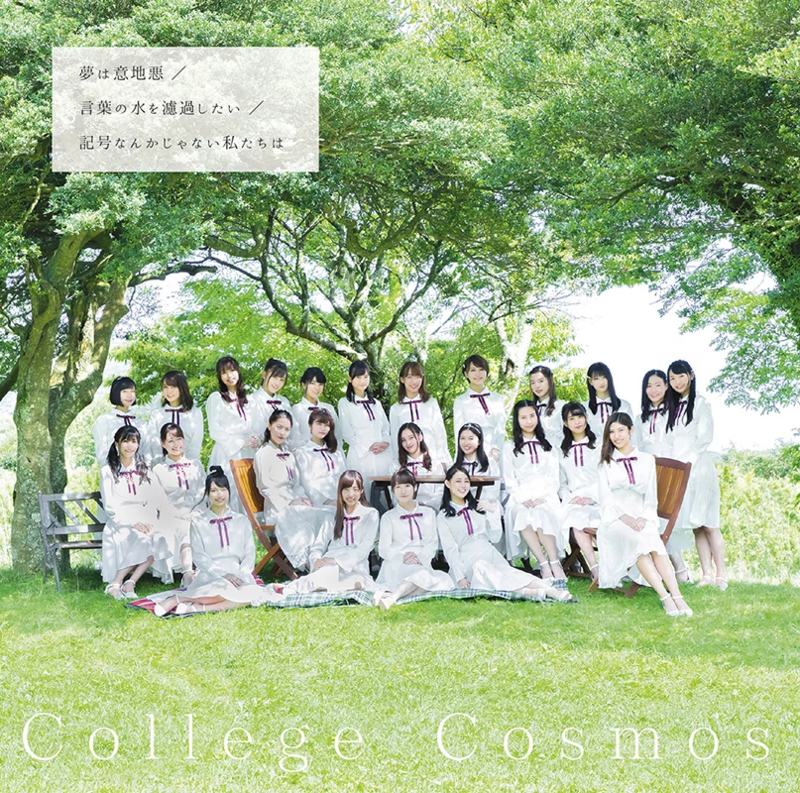 The track “Kotoba no Mizu wo Roka Shitai” was pre-released digitally on October 3, 2018. 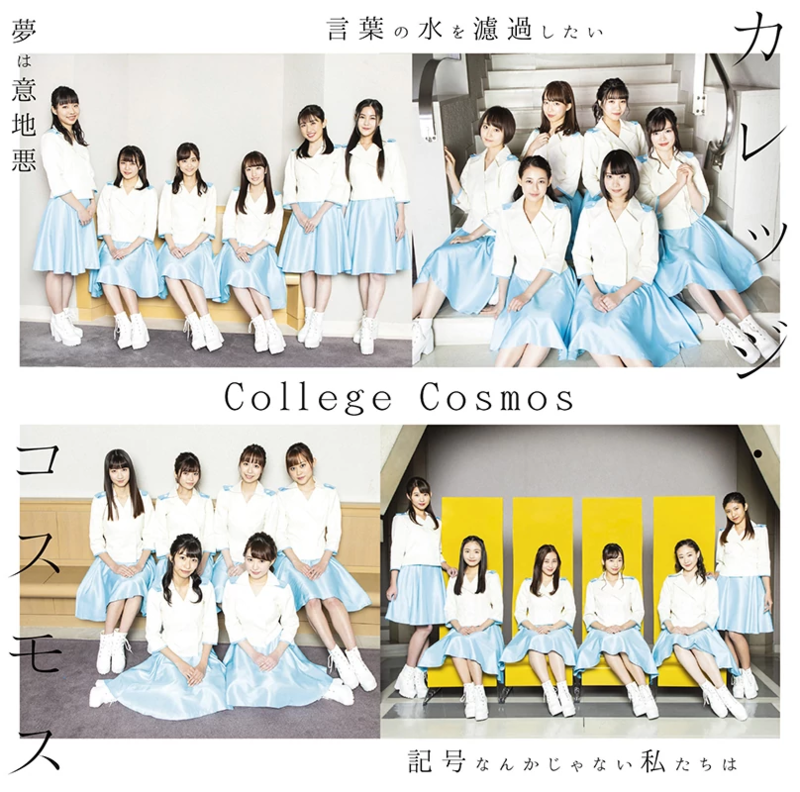 “Yume wa Ijiwaru” was chosen as the official support song for the T League men’s teams Kinoshita Meister Tokyo and women’s team Kinoshita Abyell Kanagawa. 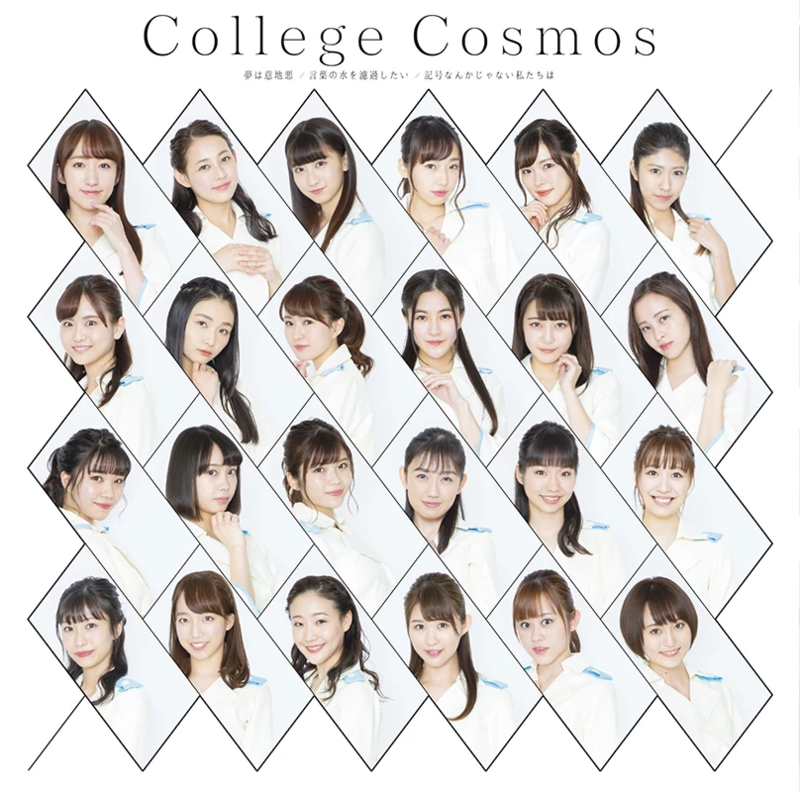 This is the only single to feature Nitadori Megumi who decided to withdraw from the group on January 21, 2019 and was only able to participate in the A-side “Kotoba no Mizu wo Roka Shitai”. 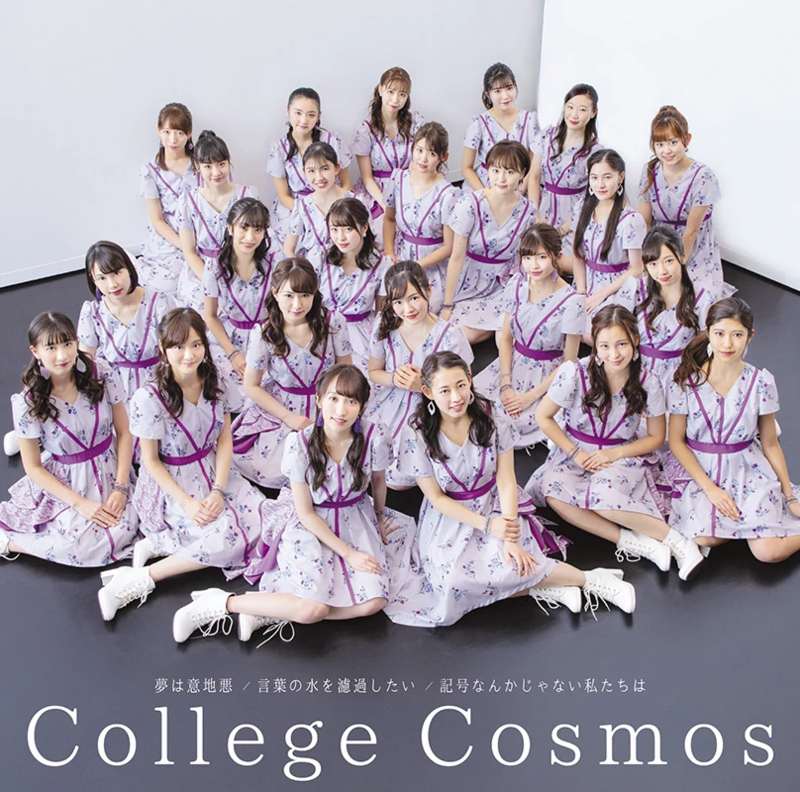 College Cosmos (カレッジ・コスモス) is an idol group made up of female university students which was formed in October 2018 as a joint project between Space Craft Group and UP-FRONT GROUP.